Ed. 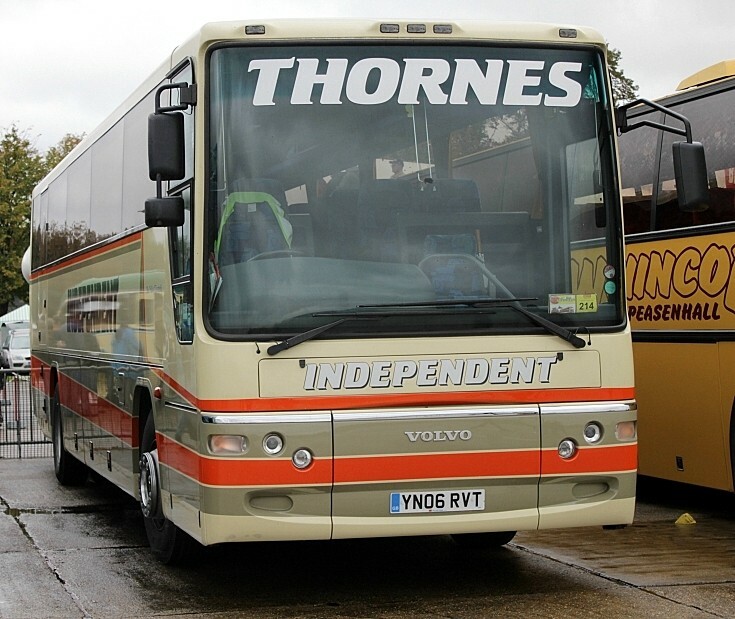 : Thornes Independent single deck coach YN06RVT seen Showbus 2010, Duxford. (See Group link below for more photos from this event). This Volvo with Plaxton body was first delivered in April 2006 to Independent, Horsforth.